This month's Kulinarya cooking challenge instructions were clear. Our host, Erika from Ivory Hut, told us that since March is the end of winter and the beginning of spring -- which also meant that we'll finally start seeing fresh, local vegetables again soon -- she thought that it would be great to feature Filipino vegetable dishes. 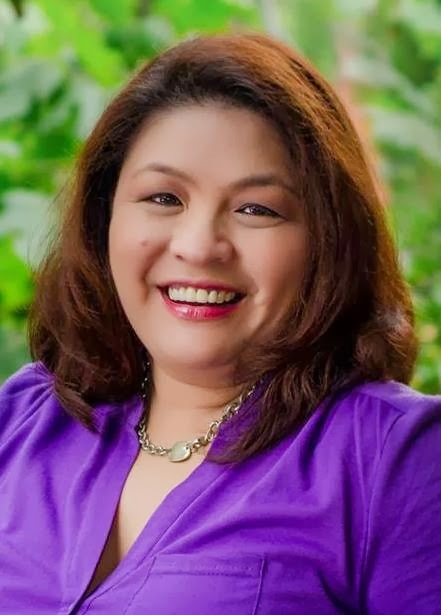 She encouraged us to show that Filipino food is not just fatty or greasy. Vegetables are rarely the center piece of the Filipino culinary experience. Although I initially thought of classic dishes, like pinakbet and laing, I was feeling adventurous. And oops I'm sorry Erika I may not be able to present the vegetables in a healthy way... as I deep fried them! But I have a good alibi, as my husband requested for an appetizer on this beautiful spring day... perfect timing as he is enjoying the men's NCAA basketball tournament, March Madness indeed. Several games were nail-biters and had some players stepping up during crunch time. And I was inspired by the games, as I saw a bundle of water spinach in my crisper and prepared Crispy Kangkong.... and my husband enjoyed these crunchy vegetables. Without further ado, here's my contribution for this month's vegetable theme: Crispy Kangkong! Pour oil in a frying pan. When the oil is hot, drop the batter coated water spinach. When it floats, it's time to get it out from the pan. Drain the excess oil. We have a lot of kangkong here and this will be a good recipe rather than adobo all the time. that's so creative, malou! great as an accompaniment to pre-dinner drinks! TagaTugue: i still used the stems to make adobo and use the leaves for this recipe. Kath: It's a fun way to have Kang Kong but not too much though haha. Ray: I like that "thinking outside the wok" magamit nga haha. Annie: it's funny we might have exchanged places at the same time haha. looks great esp the star anise in the batter :-) hows the running going? I remember crispy kangkong at Dona Maria's Restaurant in Makati. Wonder if that restaurant is still there. I love this as appetizer..great blog Malou! Yum yum yum. Who needs popcorn when you can munch on this? A good idea to lure non-vegetable eaters to eat veg. Tracey: I used to not like frying but I had to learn how to... and it's not as bad as I thougt. Well you are most welcome to come over when you visit Cali. haha! Jean: definitely a good way to eat the greens hiding under a fried batter...haha. Rebecca: The five star spice gave an interesting flavor. It was surprisingly good. Pia: I haven't been to that restaurant. Maybe I have been away too long... thanks for the kind words. I love these steamed, eaten with fried fish but love your way, too! Crispy kangkong is something I can get behind on and I'm sure my family would love this. Now I have look for kangkong right away, can't seem to find them lately. Ohhh...that looks delicious! And the dip sounds tasty! I've read water spinach several times ... this is not regular spinach, right? I've seen water spinach in Chinatown I think -- it's got long stems. Or no? Have to try this...battered kangkong, sarap pang pica-pica!